Justin Muzinich’s nomination as deputy secretary ought to add weight to the Treasury when it comes to advising on economic policy. Muzinich helped forge last year’s tax cuts. But with hardliners egging President Trump into a trade war, his influence may be a drop in the bucket. 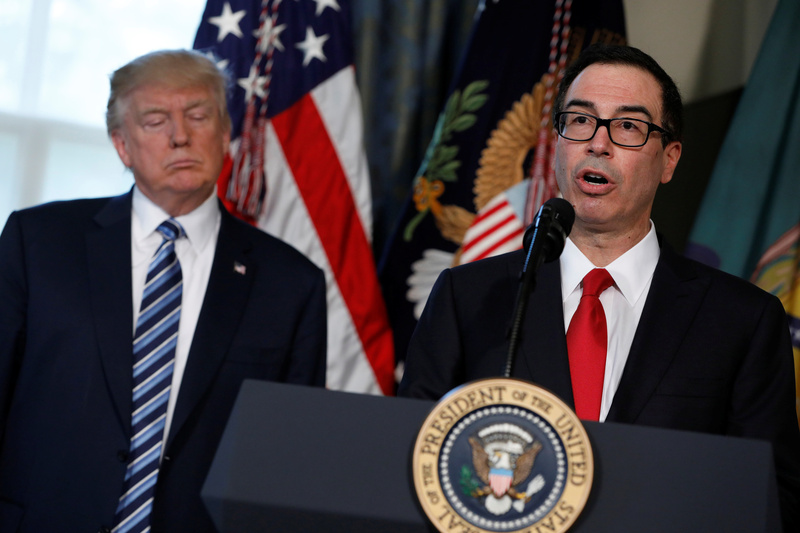 Treasury Secretary Steve Mnuchin speaks during a signing ceremony with President Donald Trump at the Treasury Department in Washington, U.S., April 21, 2017. The White House announced on April 2 that President Donald Trump intends to nominate Justin Muzinich as deputy secretary of the U.S. Treasury Department. Muzinich, who currently serves as a counselor to Treasury Secretary Steven Mnuchin, previously worked as president of Muzinich & Co, a credit-specialist investment firm founded by his father.